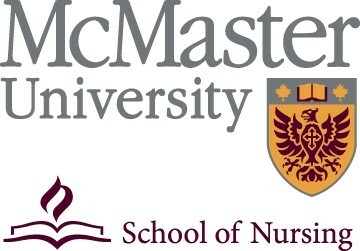 The School of Nursing is internationally renowned for its innovation in nursing education. We continue to build on a stellar reputation for developing and enhancing capacity for nursing education across the globe while delivering high-quality, responsive and student-centered education programs at home. The Health Sciences Library (HSL) is one of McMaster University’s four libraries, and while it reports to the Faculty of Health Sciences, there is a close working relationship with the other three libraries in the library system. The HSL plans and offers information services, resources and expertise in support of the Faculty’s commitment to knowledge based health care practice and life-long learning. The librarians and staff work as a team, providing a full range of public and technical services. The College of Nurses of Ontario is the governing body for registered nurses (RNs), registered practical nurses (RPNs) and nurse practitioners (NPs) in Ontario, Canada. Home of Ontario Nursing Standards and Guidelines. The Registered Nurses’ Association of Ontario (RNAO) is the professional association representing registered nurses in Ontario. Home of RNAO Best Practice Guidelines. Learn about the Canadian nurses’ governing body and the NCLEX-RN. The Canadian Nursing Students’ Association (CNSA) is the national voice of Canadian nursing students. CNSA/AEIC is actively dedicated to the positive promotion of nurses and the nursing profession as a whole. The Nursing Graduate Guarantee is an initiative of the Ontario Ministry of Health and Long-Term Care aimed at ensuring that every new nursing graduate (RN and RPN) who wishes to work full time in Ontario will have that opportunity. As nursing students, you have already taken an important first step on your career in healthcare. Though the number of specialties and career paths that are available to you can seem overwhelming at first, consult this handy guide to help you along your way. Whether you are considering pediatrics or O.R., you can find useful information to help you plan for the future. Online RN to BSN Directory is a comprehensive online resource for registered nurses considering a bachelor’s degree in nursing. It contains all the unbiased, research based information you need to make informed decisions about your education. From selecting the right program to choosing a specialty and finding a job, it has answers to all your questions. A great resource that details the symptoms of cerebral palsy, as well as other common birth injuries.